Officer Patrick Connor of the Forest Preserve District of Cook County police arrived, but the video shows he didn't intervene even as the Trybus invaded Irizarry's personal space and continued to harangue her. Irizarry is seen in the video filing a formal complaint and says that the initial responding officer did "absolutely zero." 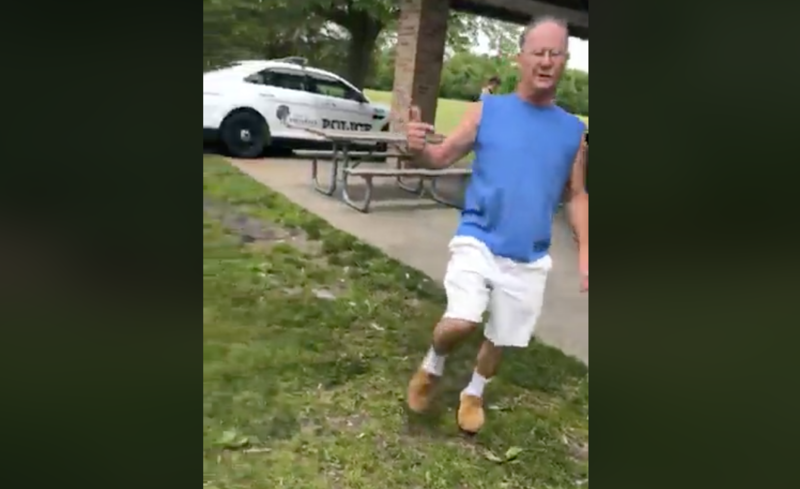 On Thursday, general superintendent of the Forest Preserve District of Cook County Arnold Randall said he is "outraged" and "sincerely sorry this happened." He said the department welcomed the hate crimes charges and would continue to assist prosecutors in the investigation. CBS News' David Begnaud contributed reporting.